Munich is the third-largest city in Germany, with approximately 1.5 million inhabitants. The local governing body employs more than 33,000 people – 16,000 of whom use PCs as part of their daily roles. Those computers are located at different sites and their users have widely differing needs. In 2001, there were 22 organisational units, each of which controlled its own IT resources. Client software versions, patch management, shared directories and user permission policies varied across the organisation. Open source software was not necessarily an obvious choice. Much of the city’s software infrastructure used Microsoft technologies, from Microsoft Office macros written in Visual Basic, to applications that relied on the Windows operating system. 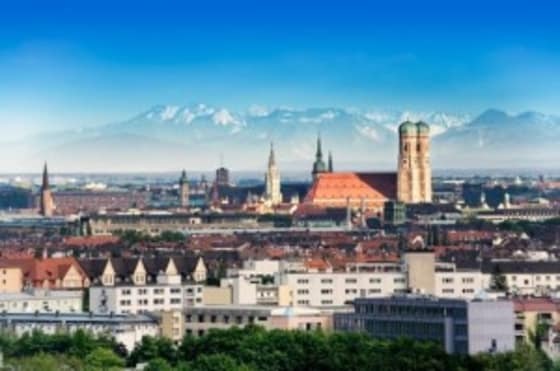 There was no doubt that in the short term, it would have been easier for the City of Munich to remain with Microsoft, but after extensive research and consideration of both the short term and long term effects, the decision was made to pursue an open source solution. The question then became about which specific technologies to adopt. Due in part to the complexity mentioned above, it soon became clear that this would not be a simple desktop migration. This was to be a re-organisation of the city’s entire IT infrastructure. The ensuing “LiMux” project would span many years and nothing like it had been undertaken before. There was no best practice or precedent and the solution would need to evolve as the project progressed. With so much public money at stake, it was vital that stakeholder commitment was secured and maintained – especially as the eyes of the technology world were watching. Seeing the project as a potential catalyst for more similar migrations, Microsoft lobbied hard to derail it. At one point, CEO Steve Ballmer cut short a holiday to fly to Munich and meet with the mayor in person. The first iteration of the project saw Debian deployed in 2006. But a more predictable update cycle was required and, with a policy of tendering for new hardware suppliers every four years, the promise of ongoing support for a wider range of devices. So, in 2009, the city switched to Kubuntu, a flavour of Ubuntu. With the need to sustain political backing throughout the process, blogs and newsletters were used to keep stakeholders up-to-date, while explaining the change in platform to users and support staff. Forums were set up to enable stakeholders to voice their concerns and ask questions. Processes were established to manage user requirements, develop new LiMux releases and test them before roll-out to user workstations. By the end of 2012, the LiMux project had reached its main goal: to migrate 12,000 workstations to Linux (a deployment now numbering 14,000 PCs). The switch from from proprietary software to open source has saved the city more than €10 million – a figure that accounts for both the hire of external companies to implement solutions and the internal man-hours the city has invested in management, training and testing. By 2012, €6.8 million had been saved on Microsoft licensing alone. By August 2013, the cost of the entire project had reached €23 million, compared with an estimated €34 million just to upgrade to Windows 7 and new versions of Microsoft Office.